#Islamabad choose to fieled 1st. Its 4 dots in a row! #PSLT20 . Who gonna win? All the best #KarachiKings #KarachiJeetayGa #PSLT20 ???? 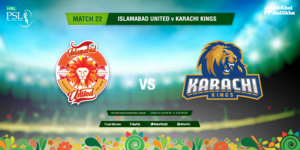 My analysis says #KarachiKings would have tough time as it's their first evening match & under lights! Hope the best team win..